The Time Is NOW for our "Silver Celebration" May.18-21.2017 in ATL!! Every five years, we pause to celebrate the anniversary of our graduation from our beloved Morehouse College. Our reunions have always been special and they have been “family reunions” in many ways. 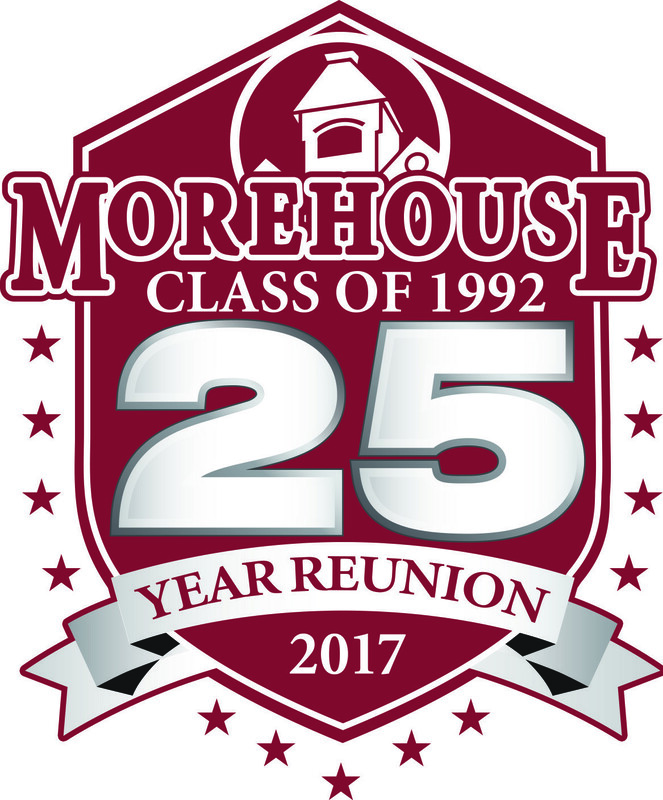 This May, we will celebrate 25 years since our 1992 graduation from Morehouse. This year is also the 150th Birthday of Morehouse College – the sesquicentennial celebration. We will RECONNECT, REFLECT, and REINVEST in Morehouse College. You also enjoy LOADS OF VALUE in return. This funds all our #1992Family events, the big SILVER CELEBRATION class party at The Grand Hyatt in Buckhead, venue rentals, catering, the Class Picnic with a meal for one, entertainment, audio & video production, tent rentals, table rentals, chair rentals, very special souvenir gift bag, special embroidered golf shirt, souvenir lanyards, custom name badges, and various planning expenses. NOTE 1.0: Payment INCLUDES your meal at the picnic. Here is the delicious menu: Grilled Teriyaki Chicken Skewers, Cajun Blackened Salmon with Raspberry Chipotle Glaze, Baby Back Ribs, Gourmet Sausages (Chicken, Beef & Turkey), Beef Hamburgers, Beef Hot Dogs, Turkey Burgers, Turkey Polish Sausage, Turkey Hot Dogs, Multi-Color Skewers (Cherry Tomatoes, Green Olives, Red Olives, Pepper Jack Cheese Cubes, Red Grapes), Classic Macaroni & Cheese, Fresh Asian Spring Rolls, Baked Beans, Vegetarian Baked Beans, Potato Salad, Coconut Rice, Spicy BBQ Slaw, Cole Slaw, Chilled Fruit Cocktail, Peach Mango Tea, Strawberry Lemonade, Assorted Sodas, Bottled Water, Cookies, and Ice Cream. We plan to: RECONNECT. REFLECT. RE-INVEST. The names below have been working hard to make this SILVER CELEBRATION one to remember. We thank them for volunteering their time, energy, and resources to make everything possible.